There are some days when only a cup of soup will do. 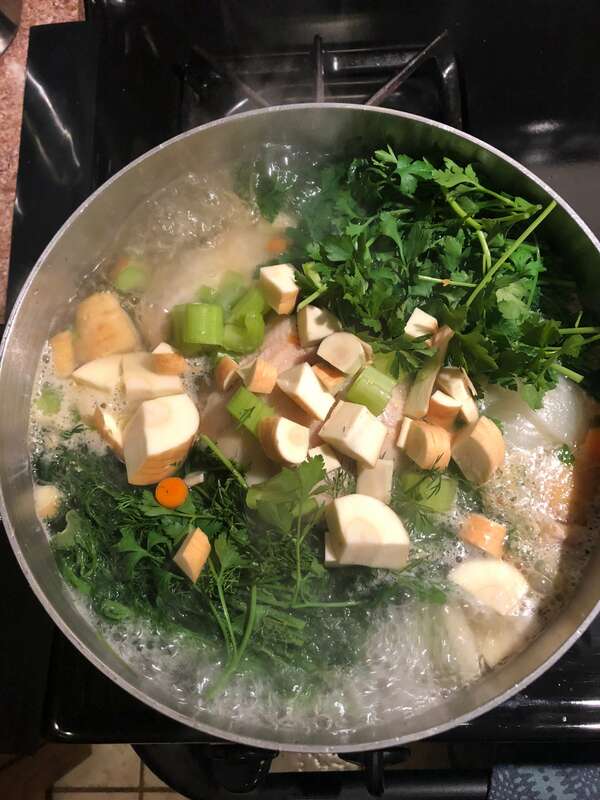 With so many events revolved around excessive eating this season, I like to slow things down when I can by making homemade soups. This classic (and easy) chicken noodle soup is great way to slow down and savor a homemade favorite. Add water to a large boil and let it boil on a medium heat. Remove the peel from the onion and add it to the pot. 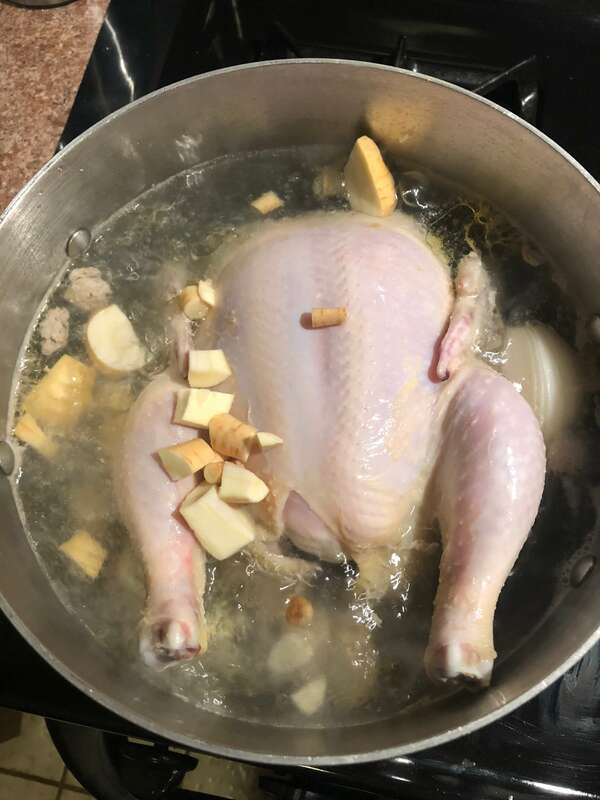 Once boiled, add the cleaned chicken to the pot and cover. Cut up the carrots, parsnips and celery and add them to the pot, along with some salt. Add in the fresh herbs and cover. Check and stir the soup, periodically over the course of 2.5-three hours, depending on the size of chicken. In a separate pot, add water and boil. Prepare the noodles as directed. Check the chicken (cut in the middle) to make sure that it is completely cooked. Turn off the flame and add the chicken and veggies to a bowl, along with the noodles. Enjoy!